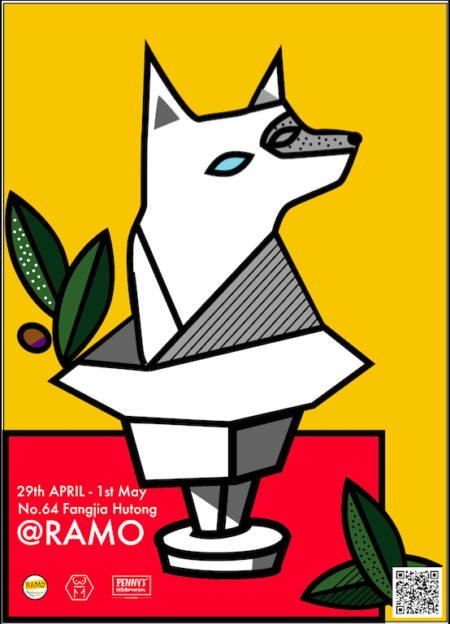 Get over to Ramo this May holiday weekend as they present a 3-day pop-up full of pizzas, pets, and plaster casts. You heard us, plaster casts, courtesy of BodyMemory Clinic. For those of you not in the know BodyMemory is the work of a local designer, Yi Zhou. She goes around to various venues dressed in OR scrubs making casts of various body parts, mainly fingers, lips, ears, and noses so that you can give them away as gifts, or turn them into anatomically correct jewelry. On this particular day, they will be focusing on taking casts of your furry friends so that you can make them into unique pieces of jewelry (i.e., necklaces and brooches) or other decorative objects. This is a great activity the whole family can enjoy, especially if you or your kids have any interest in forensic sciences. Here’s how it works, and we assure you that it’s a quite painless and humane process that only takes about five minutes to complete, depending on how excitable or timid your pet is. Extract the QR code from the poster above to sign up for the service, and send your name, phone number, as well as a date and time you would like to make your appointment. This procedure consists mainly of placing the animal’s paw in the special molding substance. When it dries up, you are done, but you will need to wait a week for the doctor on duty to make the special cast at her secret underground laboratory. Jewelry services are also available if you wish to add a little bling to the object or plate it in gold. To round out the experience, Penny’s Food Studio will be on site making delicious treats for your cats and dogs as their little extremities get immortalized in plaster. They are experts in crafting family quality food for dogs and cats. Even our little yappy companions need a little delicious pampering every once in a while. As usual, Ramo provides a little something for everyone. While your pets are chowing down on luxurious handmade treats of their own, there will be pizza, a special on hotdogs, and other comfort foods for humans. So, get on down to the hutongs and experience this unique pop-up of interspecies delights. Check out the event listing here for more details.